The electronic test equipment (testgear) industry is blossoming and expanding as never before. Atomic force microscopes (AFM) – For scanning probe microscopy. Automated optical inspection (AOI) Used for automotive parts, liquid crystal displays (LCDs), printed circuit boards, and transistors. Automated x-ray inspection (AXI) AXI is especially used for inspecting ball grid arrays (BGAs) that are hidden underneath integrated circuits. Digital Storage Oscilloscopes (DSO) – For monitoring varying signal voltages. Electronic Design Automation (EDA) – Software for the design, design closure and design flow of cell phones, high-speed digital wireline services, integrated circuits, radar systems, satellite communications systems, and wireless networks. Network analyzers (VNA) These are used in measuring network parameters in all components in electrical networks. Signal generators – For designing, testing, troubleshooting, and repairing electronic and electroacoustic devices. Spectrum analyzers Spectrum analyzers are used for measuring the bandwidth, distortion frequency, harmonics, magnitude, and spectrum of an analog or digital input signals. So, whats new for 2014? This new company, with the tagline, Unlocking Measurement Insights for 75 Years, will concentrate exclusively on the electronic measurement industry. Keysight will rely heavily on the intellectual property of Agilent, which itself is a spinoff of Hewlett Packard in 1999, whose test measurement and software solutions have enabled electronic and communication advancements since 1939. 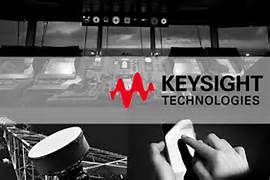 But, Keysight is not looking back or resting on the laurels of its predecessors. Instead, according to new Keysight CEO and Pres. Ron Nersesian, theyre committing themselves to bringing their customers whole new generation of firsts. Agilent already produces a wide variety of products in all the categories above. What does the future hold for the testgear industry? Despite its nearly 80 year history, the testgear can still be considered a nascent technology. What other developments may we anticipate from Keystone and its competitors? First, it is reasonable to expect, with the continuing advancements in computer technology coupled with such areas as articulated robotics, nanotechnology, and semiconductors, that the need for new electronic testgear, intelligent test facilities, and testing algorithms will continue into the foreseeable future. Second, with the drive toward green decentralized energy alternatives to petrochemical energy growing stronger, we may see test gear manufacturers to move into these areas such alternatives as solar, hydro, hydrothermal and wind-based technologies. Third, the potential integration of power electronics (PE) and information and communication technologies (ICT) may also provide an open door of opportunity for the development of new testgear technologies and instrumentation in medium voltage power generation measurement. Finally the need for advanced testing systems to ensure de-risk in smart grids, energy supplies, and fault conditions, and to cope with increasing sensitivity of power quality and dynamic behavior equipment will also fuel the development of new were testgear technologies. Lillian Dawn is a business consultant and has gathered sources from Electronic Test Equipment to write this article. Feel free to connect with her over at Google+.